The Edpuzzle flipped classroom basically consists of assigning your students video lessons to watch at home and using class time for more meaningful activities. Students learn the basic concepts of the lesson at home using Edpuzzle videos, which they can watch at their own pace. This gives the teacher more time in the classroom to work on other activities that will reinforce students' understanding of the topic. Edpuzzle makes the flipped classroom work. Keep reading to learn how! Assign videos about basic theory. We've created tons of videos covering basic theories in all subjects. You can find them in the "Curriculum" section. Assign one of these pre-prepared lessons to watch at home and use class time to clear up any doubts or push the students to learn key concepts in more depth. Students can watch as many times as they need to, so there's no need to use class time explaining the concept. Use videos to show how to solve problems. Assign a video explaining the basic process to solve a problem, giving your students the chance to practice before coming to class. You can then use class time for a more challenging version of the same problem. Engage your students with videos. Share documentaries, lab experiments or any other videos to surprise and engage your students. Collect the questions/reactions/opinions they may have while watching the video and use that data to drive your time in the classroom. Share class rules via video. Usually, teachers spend a lot of time explaining and repeating class rules (behavior, lab security). Record a video and embed questions to check for understanding. You can use the same video every year, saving you time. Check for listening comprehension. Forget about CDs – you can use any video available on YouTube and embed questions to check for understanding. Include open-ended questions to work on writing skills or multiple-choice for vocabulary checks. Start a debate. Share an interesting topic using a video from YouTube. You can embed an open-ended question asking for their point of view and use those responses to start a debate in class. Use videos to simulate travel. You may not be able to physically take your students to a country where the language is spoken, but you can go there virtually with a video, allowing them to explore the culture and listen to native speakers. Share new grammar and vocabulary. There are thousands of videos that cover grammar rules or vocabulary. Use Edpuzzle to let the students learn these concepts at home and use the time in the classroom for practice. Bring in the experts. There are plenty of expert TED Talks available on a wide variety of social studies topics. You can assign these videos to watch at home and ask the students for their point of views or to summarize the content. Use class time to develop key ideas or answer any questions. Bring books to life. Use videos to enhance the content students read. Reinforce topics they've just learned or build on that topic using digital content. There are great resources already available online. You can embed a few questions to check for understanding, and use class time to discuss and share. Turn your slides into videos. There are many online tools that enable you to quickly record slide presentations and upload them to Edpuzzle. You can now assign your lecture as homework, and you can use the time saved in the classroom to answer questions or work on projects. Free tutor for your students. There are excellent video resources on Edpuzzle that are free to use. With one click, you can use the fantastic videos from Crash Course or Khan Academy to give your students an alternative way of learning the concepts covered in class or reinforce particular topics. With Edpuzzle, you can hold your students accountable and easily identify any questions or concerns. Create learning stations. We recommend putting together two or three stations and rotating your students. For your video station, equip your students with headphones and have one or more videos ready. By using headphones and visual resources like videos, the students enhance their focus and retention of information. The other stations can have worksheets, hands-on projects, or involve one-on-one time with the teacher. That will give you extra time to provide individual attention to your students. Discuss behaviors. Many special education teachers spend a lot of time explaining real-world scenarios. It may be hard for your students to visualize that specific situation or the context. Using video lessons can provide a visual example of a particular social situation. Substitute teachers. If you're sick or traveling and you want your students to continue learning even when you're not there, you can assign a few video lessons to complete while the substitute teacher is there. You can hold them accountable, read their responses, and continue without interruption when you get back. Creating an in-class flipped classroom. If some students don't have access to the internet at home or you want them to take advantage of the laptops/tablets available in the classroom, we strongly recommend this method. The in-class flipped classroom is a rotation station model where one of the stations is for viewing Edpuzzle video lessons. Every 15-20 minutes (2-3 videos) the students will move to the next station. You can set up different stations where the students learn the same concept using different approaches: peer-to-peer learning, writing/practice problems, teacher lecture, project-based learning or hands-on experiments. ASL. American Sign Language teachers love video lessons because it's a visual resource to learn how to sign. What's more, the fact that you can embed questions ensures that the student understands the context of the conversation or the meaning of a specific sign. You can even assign the video to watch at home and then monitor student progress and viewing history. Physical Education. Coaches and PE teachers love video lessons and have been using them for many years to review techniques and strategy, and motivate their students. With Edpuzzle, you can finally hold these athletes and students accountable. You can use a video that explains the basic rules of a sport that you want to practice with your students, or you can assign a specific offensive play that you want to cover during practice. The possibilities are endless! Professional Development. Teachers are also students, but when it's time to do professional development, you're probably tired or thinking about the million other things you have to work on. You can flip PD by assigning videos to watch at home and use class time to respond to questions and allow teachers time to plan how they'd like to implement new concepts in their classroom. You can supervise the work and brainstorm with them. Music. Videos are an excellent audio resource. Many music teachers use Edpuzzle to cover instruments or musicals. Depending on your students' level, you can assign videos to practice at home and use the class time to practice as a team. Students love YouTube, but learning from a video is a skill they need to develop. We strongly recommend explaining your objective in flipping the classroom to your students, their parents, other teachers and your principal. If they understand the final goal, it will be easier to get them on board. During the first classes, you can assign videos to watch in the classroom. You can either watch as a group or have students watch individually. Identify and celebrate desirable learning behaviors before the video, like pausing the video, rewatching certain parts of the video to improve understanding, how to sit properly in front of the laptop and how to take notes. Then, once the students have practiced a few times with the video and understand the behavior expected of them, we strongly recommend assigning one or two videos per week to watch at home. Measure the number of assignments completed and get feedback from the students on the length of the video, the difficulty of the questions and the content of the lesson. After one or two units you won't want to go back to the traditional way of teaching! Many teachers think that they have to flip all their lessons. That's simply not true. We recommend flipping one or two units your first year and working in a few more in the second. Having someone else in your department or school that wants to flip their class is also very helpful. Sharing content and best practices make the whole process much easier. Students might be reluctant at the beginning - they have to pay attention to the video and respond to questions, and it's no longer an easy passive experience for them. However, in the long run, students will start to see the change in their understanding and grades. Don't give up – you will see results! What are the Edpuzzle Coach and certification programs? Edpuzzle is so easy to use that you can learn how to use Edpuzzle, through Edpuzzle. It's Edpuzzle inception! We've created several classes for teachers, or Certifications, explaining how to use Edpuzzle. Certifications are broken down into several modules, each which contains a playlist of video lessons designed to help you learn how to use the platform. There are three Certifications available that vary depending on your level of familiarity with Edpuzzle. Level 1: If you've never used Edpuzzle or you don't remember exactly how to use it, this certification is for you. We cover the basics of the platform: how to create a video lesson, how to create a class and invite your students, and how to find and use the data collected in Edpuzzle. This Certification course is a great way to train new teachers on Edpuzzle. 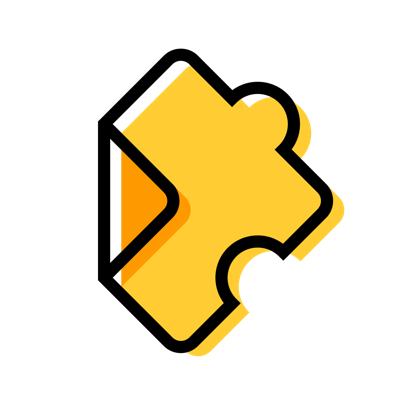 Level 2: If you've used Edpuzzle a few times or you want to see what secret features you can use in Edpuzzle, this certification is for you. We cover features for teachers wanting a little more, such as: how to organize content, how to collaborate, advanced features when you embed questions and how to have students create their own video lessons. Coach: The Coach Certification is ideal for teachers that want to help other teachers go from zero to hero. We cover everything from Level 1 and Level 2 so that you know every single detail about the platform, then dive into more detail on using and sharing Edpuzzle. It's 100% self-paced, so you can watch the videos at home, while you're cooking dinner, on the bus or even at lunch. You can complete one module each week, or all of them at once. You decide when to complete the certification. You'll get a LinkedIn certificate with the amount of time invested watching the lessons. Teachers usually use this official PDF to confirm PD hours. You'll also get an awesome badge! You can use them to enhance your CV or email signature. You'll become part of a community of teachers that love Edpuzzle as much as you do! We share best practices, ideas and opportunities.